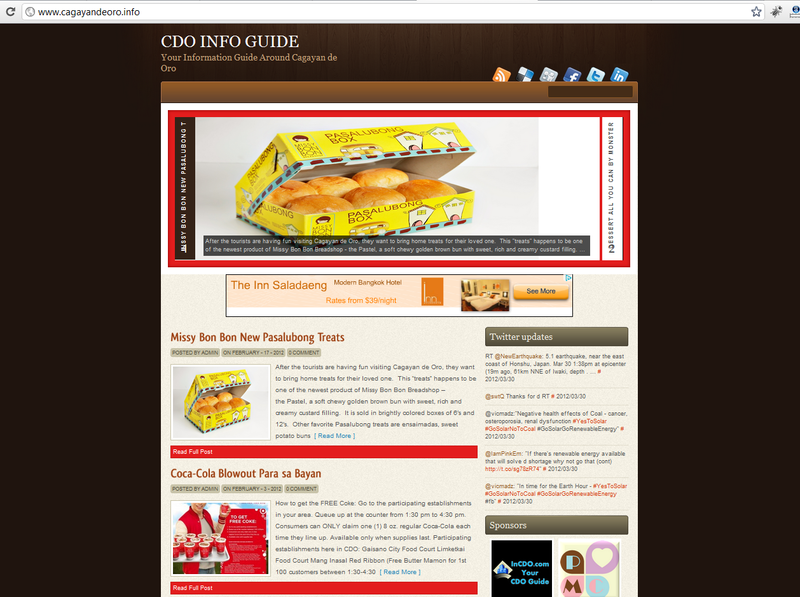 Im supposed to spent my day today catching up with my backlogs but I remember I need to finish the designs on my fellow CDOBloggers blog themes. Basically what I do is hunt a theme for their blog, install, customize and often I design a logo also. Teacher Roxanne's blog TheKagayanon.com is the next one I did for finishing. 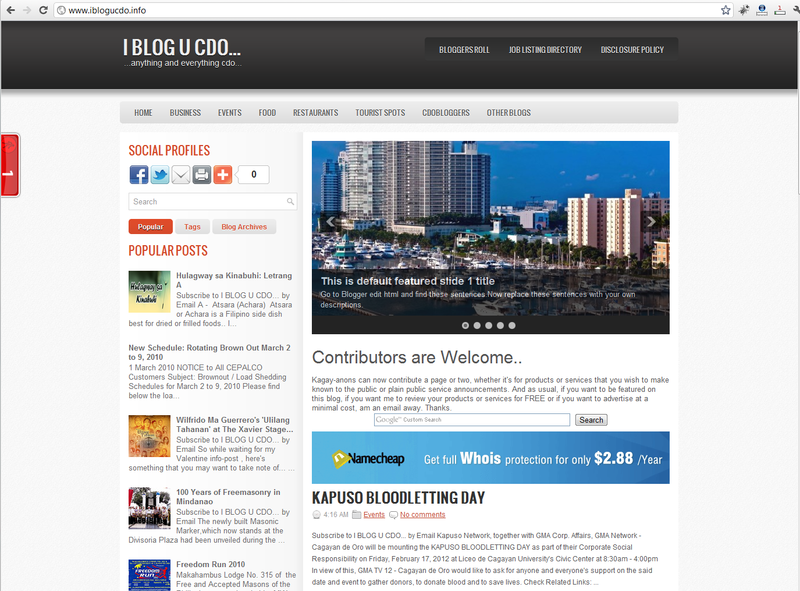 Yesterday, I bought the domain, import-export her posts from Wordpress to Blogger. 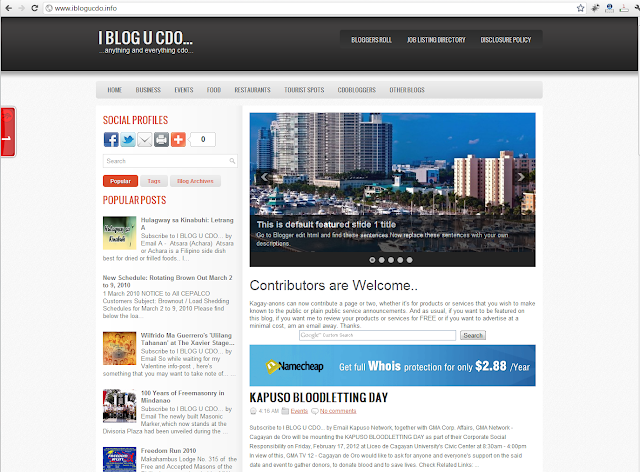 Why I choose Blogger? Simply because they offer free hosting and Roxanne dont want to invest for a hosting yet. She just paid me for buying the domain... So today what I did is finalized the theme layout then design and add her header logo and banner ads. And here's how it look... tadddaa! 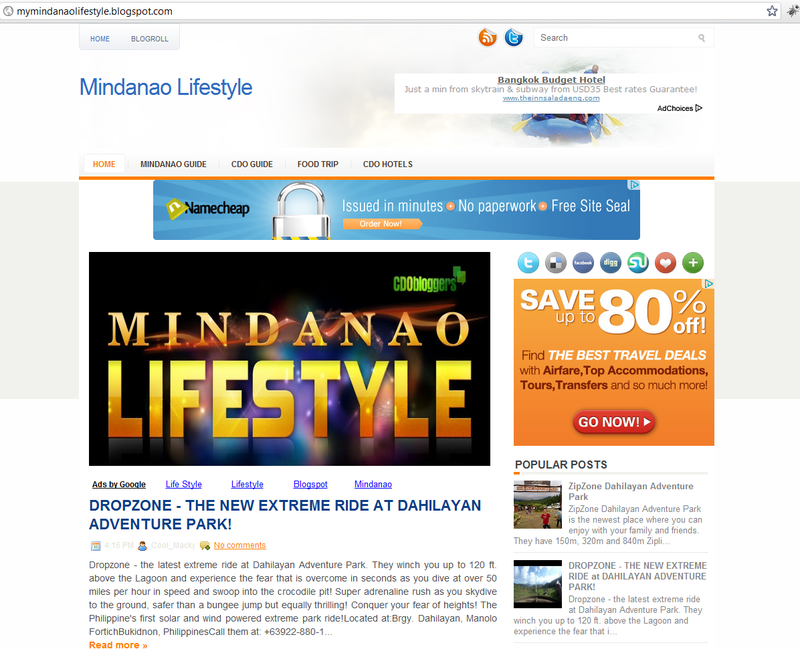 Anyways, last year I helped Macky on his MyMindanaoLifestyle.blogspot.com too... And I have teach him some basic how--to's on his blog as well as how to have more visitor on his blog. As well as Jacqs' CagayanDeOro.info... This one is in Wordpress so I also installed must-have plug-ins for her. 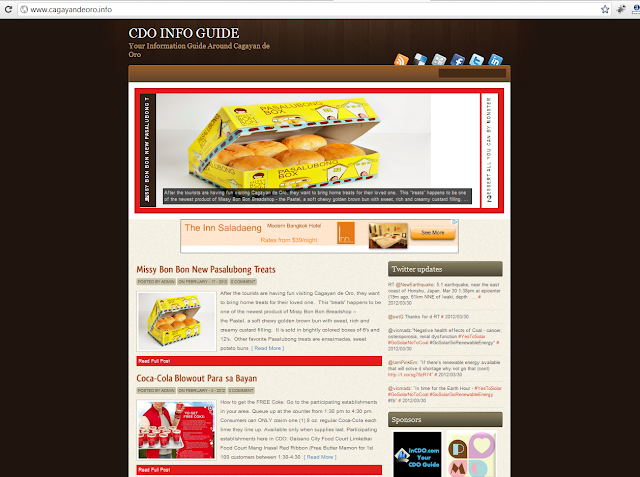 The name of her blog before is Cagayan de Oro but I change it to CDO Info Guide which I think is more nice. Watchatink? 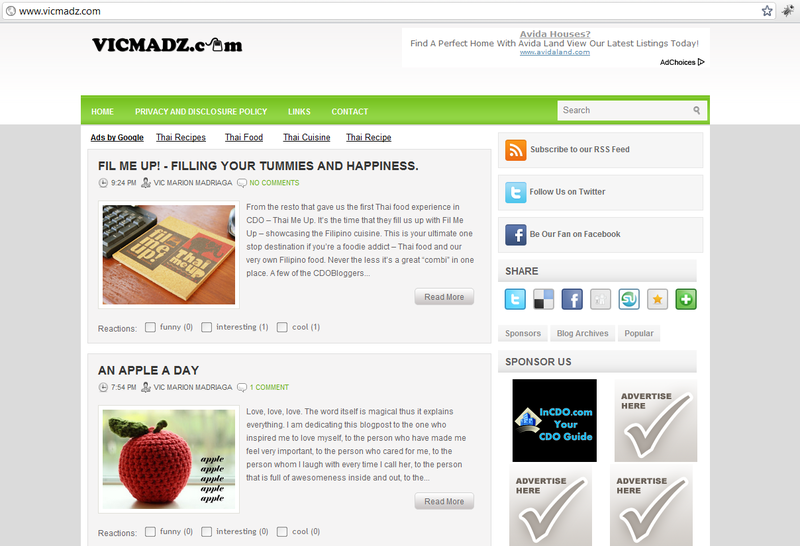 Thanks to Btemplates.com for all the blogger themes and Fabthemes.com for the Wordpress theme.